Classic Sailing. Pure and Simple. The Corinthian Classic Yacht Regatta – presented by Panerai Officine – is proud to announce the inclusion of Alerion Yachts as a partner and new “family” member to our 2014 event. 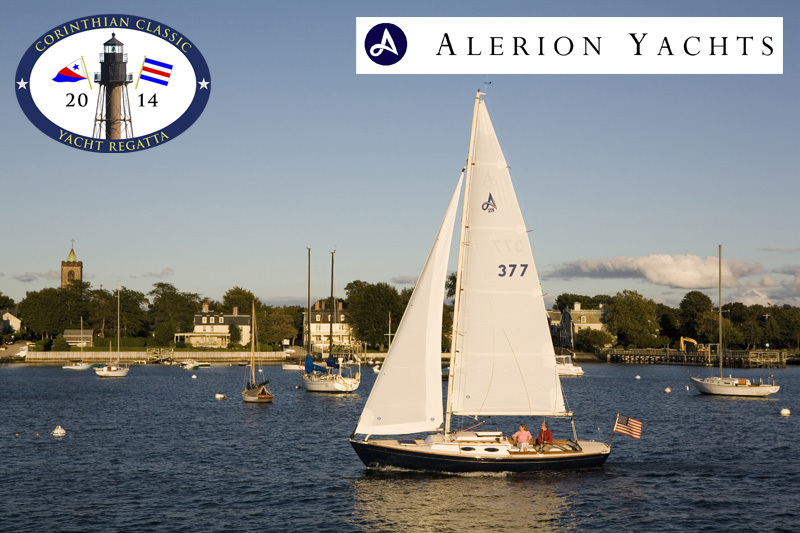 Alerion Yachts, has brought “Spirit of Tradition” design and sailing to the forefront with their yachts that have been meticulously created and updated from the 1916 design and spirit of Nathaniel Herreshoff’s 26’ personal sloop. The timeless appeal of this design has spawned a host of imitations but the Alerion daysailers and cruisers (ranging in size from 20-41 feet) are cast in a different mold. Rather than attempting a warmed-over re-creation of an old classic, this yacht retains the traditional look topside, but is completely modern in rig, underbody and construction detail. The result is a nimble craft that evokes the past in appearance, but embraces the present in performance. The admiration theAlerion draws at the dock is doubled by the respect she creates under sail. This is a very fast and maneuverable sailboat, which can turn in its own length and is so well balanced it needs only the lightest touch on the tiller. Whether sailing with the family or a singlehanded day out, sailing couldn’t get any easier or more fun than on the Alerion-series boats. These boats are designed to help sailors make the most of their precious time on the water.